A breastfeeding checkup is a 30 minute breastfeeding support visit for both mom and baby, during which time a professionally trained lactation educator or consultant will weigh the baby, assess latch on and milk supply, and answer breastfeeding questions. Mothers will receive recommendations to ensure ongoing breastfeeding success. If a problem is detected, further evaluation & treatment may be suggested. Checkup results and recommendations will be sent to the baby’s doctor. Why have a breastfeeding checkup? Breastfeeding is a learned skill for both mother and baby. The first few weeks is a time of learning, adjustment and many questions. It is also the best time to acquire the new skills and perfect breastfeeding technique. Our goal is to give breastfeeding support to mothers through this often confusing time, assure the baby is getting enough milk, remedy common problems and direct Mom and Baby toward continued breastfeeding success. If further breastfeeding help is needed, an appointment can be made for an in-depth consultation with our board certified lactation consultant. The cost of a 30 minute breastfeeding checkup is $40. Yes. 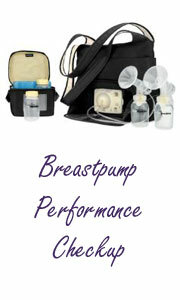 The check-ups are done by a specially trained lactation educator or lactation consultant. In order to get breastfeeding off to “the best start”, a Breastfeeding check-up should be scheduled within the first 1-2 weeks after delivery, however it can be done anytime a mother has breastfeeding questions. Can any mother come in for a breastfeeding checkup? Yes, provided they have an appointment and are not experiencing any serious breastfeeding problems which would require a full consultation with our International Board Certified Lactation Consultant (IBCLC). 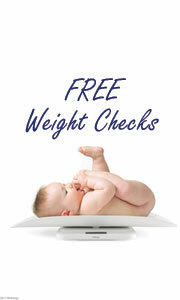 The cost of a full breastfeeding consultation is often covered by the baby’s health insurance.